The commoditization of diversity in tech. When it comes to diversity in tech, things are changing. As with almost every other subject, people are ready to “disrupt”… and turn a profit. The press is one of the groups most obviously profiting off the increasing focus on diversity. 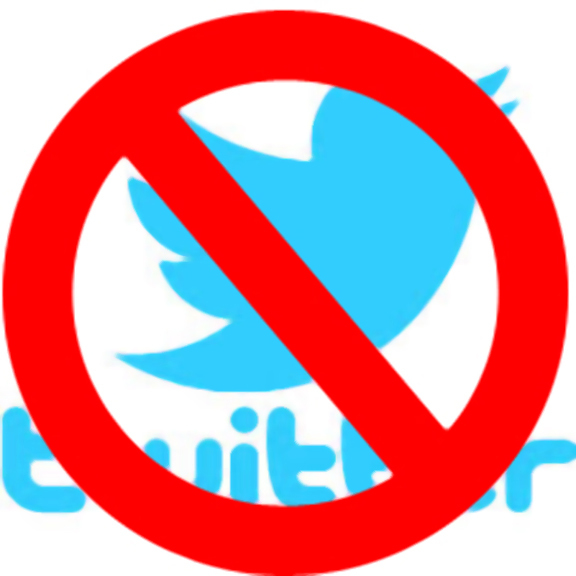 Many have turned it into glorified clickbait, while others write puff pieces that help companies polish their image. It seems like almost every prominent publication has written a superficial piece about diversity or women in tech. Some journalists dig into diversity issues, ask important questions, and add value to the discussion, but they seem to be the exception. When Julie Ann Horvath discussed why she left GitHub, her mentions on Twitter filled with journalists pleading for their piece of the story. Much digital ink was spilled, but there was little digging into systemic issues at GitHub or the industry. Much of it read like a gossip column about an isolated incident. Something similar happened with Whitney Wolfe and Tinder. Look at enough of these stories and a pattern emerges. Meanwhile, it’s difficult to find even half as many positive stories promoting underrepresented people and their projects. The worst of the tech press look more like tabloids and paparazzi every day. They consume the pain and hardship of marginalized people harmed by the tech industry and transform it into a profit with little consideration for the consequences. You can literally see them circling when something goes wrong. At least celebrities have trained staff to help them navigate these shark-infested waters. Most tech workers have no such luxury when journalists come to collect their pound of flesh, and somehow they can’t draw the same attention when something positive happens. A positive thing about diversity in tech being so actively talked about is that organizations ignore the issue at their peril. It’s become an expectation that companies, particularly large ones, will throw some time, resources, and money at the problem. If nothing else, they’ll speak about diversity to make sure they’re paying sufficient lip service to the topic. But so much of this is just window dressing. The money spent on “diversity in tech” efforts is often a drop in the bucket — well worth the free press (and sometimes a tax write-off). Participation in diversity activities often falls on volunteers from their own employee base — free labor in the form of a second shift. Focus is often given to the “pipeline problem,” allowing tech companies to address diversity without making changes within their own organization. Many tech companies take parallel steps towards addressing diversity by targeting low hanging fruit. Few are acknowledging, let alone trying to address, the complex, systemic issues at the heart of the problem. If none of them stand out, they can all get away with a degree of mediocrity and still check that “diversity” box. With a consistently low bar, even a little effort gets a gold star. Every now and again, a company will stand out and move the bar ever so slightly. This year, Google released numbers about the diversity of their employees, data people have been requesting for years. Once one large company gave in, others followed suit to keep up (see Open Diversity Data for a list of companies and the state of their diversity numbers). Previously, many companies refused to publicize this data, arguing that it was competitive information. These numbers were not the first to be released, they’re just the ones that got a lot of attention. Last year, Tracy Chou created a self-reporting system for the gender breakdown of tech employees at companies. The results include numbers from startups and small to midsize companies. An attempt at comparing data on race from Bureau of Labor Statistics, Taulbee Survey, NSF, Google, Facebook, Apple, and Twitter. While it is interesting, the varying survey methodologies and years make this a less-than-scientific comparison. Raw data here. A similarly flawed attempt at comparing data on gender. Raw data here. These diversity numbers are often limited and inconsistent, making deeper analysis (e.g. comparison with other companies, the Taulbee survey, or data from the NSF) flawed or impossible. For example, some data includes leadership numbers, but none of the ones I reviewed included information about leadership in technical roles. Amazon and Microsoft didn’t break out data about technical staff at all. Groups including Native Americans don’t even get their own section — they are collapsed into a tiny percentage marked “other.” Unsurprisingly, none of these companies shared numbers about their attrition rates. I am curious to see what happens with these numbers. Are there goals for improvement? Will they share updates every year, so we can track progress? Will we get better data that allows us to evaluate the intersections of things like race and gender? Will we learn what diversity looks like in technical leadership? Or will we give these companies a pat on the back for releasing limited data every now and again? A huge amount of diversity effort and money is focused on “the pipeline problem.” Not enough young people get interested in technology, so they never enter the pipeline, so they never get CS degrees, so they never are available to hire as programmers, so these tech companies never get their “fair share” of diversity. It is simultaneously the excuse many use for issues with diversity and their best hope to improve it in the future. The monomaniacal focus on this narrative does a disservice to underrepresented people in tech in the present and future. A pipeline has many entry points and continues on for a distance. 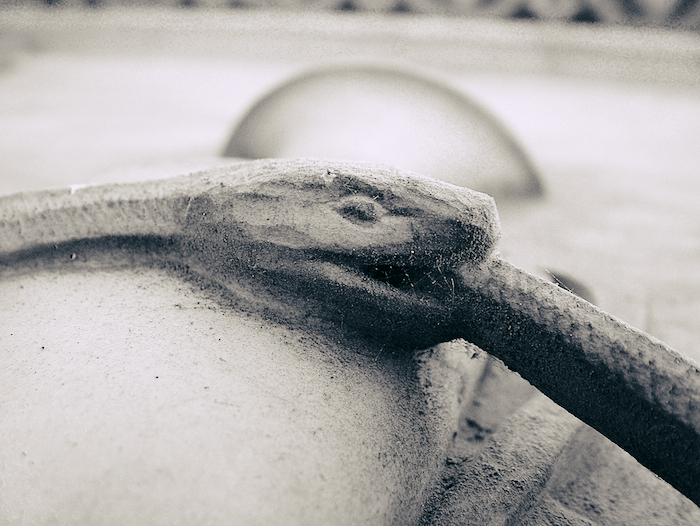 Focusing solely on a single entry point leaves the rest to disrepair. The metaphor is so broken that many have added their own sardonic twists: The pipeline is leaky and full of acid. The pipeline leads to a sewage treatment plant. The pipeline ends in a meat grinder. In popular conceptions of the “pipeline”, the single entry point is the traditional computer science degree. Companies ignore other methods of entry like apprenticeship programs, hiring self-taught programmers, or transitioning staff from related roles like QA and support. Many small and midsize companies aren’t even willing to invest in junior engineers who do have a traditional CS degree. Companies simultaneously claim they care about diversity and hiring the best engineers, yet their “meritocratic” methods for identifying the latter often are in conflict with the former. Many companies ignore large portions of the pipeline once you leave the beginning. They’re not sharing their attrition numbers. You’re unlikely to hear about how they’re addressing toxic environments. The most you will probably hear about is addressing issues related to babies (e.g. maternity leave, freezing eggs). I’ve heard more than a few stories about leaders largely blaming motherhood for the lack of diversity in tech despite studies to the contrary. Ultimately, it’s easier for people to point at the “pipeline problem,” allowing them to wash their hands of investing in change within their own organizations in the here and now. Another form of school has been popping up to profit off an alternate route to becoming a programmer, often targeting people who got the “wrong” college degree or never were able to attend college. Code schools are unaccredited and widely varying in cost, duration, quality, and outcome. They’re selling the idea of becoming a programmer (an occupation that, in theory, is lucrative and has job security) for quicker and cheaper than a college degree. The relatively expensive tuition and living expenses cannot be paid with traditional student loans, and scholarship programs are often small or very limited in quantity. 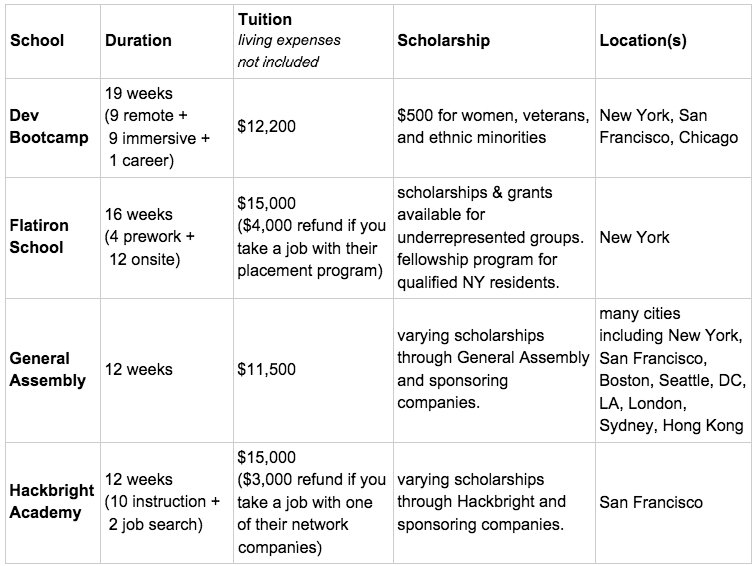 Examples of varying durations and costs for some well-known code schools for immersive programs intended to prepare someone to work as a programmer (data as of 2014-11-29). Unlike accredited colleges, it’s difficult to get data on the quality of these programs or the success rates of their students. Finding a job after finishing one these programs often depends on the code school’s network of companies (some of which are obligated to pay a fee to the school). You’re unlikely to hear honest criticism from students because they are beholden to the school to find jobs to pay off the personal loan they probably took out to attend the program. Additionally, for-profit educational endeavors with such little transparency have a high potential for predatory behavior. One of the ways that companies “profit” off diversity is leveraging free labor to support the diversity efforts that promote their company. Diversity is important, but not valuable enough to compensate many of the people needed to make it happen. This work often falls on “diverse” employees. They are frequently asked to volunteer for outreach with students to help the pipeline, recruiting for hiring, and general diversity events to show how much the company cares. This work becomes a second shift, something they have to do on top of their regular job. Issues like stereotype threat and unconscious bias often mean that people from marginalized groups already work harder to see the same (or less) progress in their careers. It all adds up to a lot of extra work for people to manage. They don’t have to volunteer, but they “probably should” if they care about diversity. Organizations don’t just ask their own employees. I have heard of numerous cases of people being asked to help with diversity consulting for free or some menial compensation like free lunch. One of the top tech companies once asked me to come give a talk for their women in tech group and let them record it to help future employees for the low low price of free lunch and a tour. Many code schools rely on free labor from mentors to keep their programs running. Some of the second shift work is less blatant. If you are a member of an underrepresented group, you are often expected to be the very model of a modern minority techworker. People will ask you about diversity at the company you work at, and you will feel obligated to speak positively about it. You become walking, talking marketing material. Criticism of their diversity efforts and stories about negative experiences run a risk, so most don’t speak up… there’s a reason this piece is written anonymously. Now that diversity in tech is a commodity, everyone wants in. They can profit off it, use it for exposure, or even turn it into a redemption story. The most privileged people in tech are now leveraging the stories of marginalized people for their own benefit. Sometimes this comes at the expense of the very people they claim they are helping. For example, Vivek Wadhwa has recently been receiving press for putting together a publication titled Innovating Women that focuses on the stories of “women in technology and other fields of innovation.” He raised over $40k in an Indiegogo campaign to fund the development of the book. For contrast, Farai Chideya, the woman working with him to develop the book, received very little press. 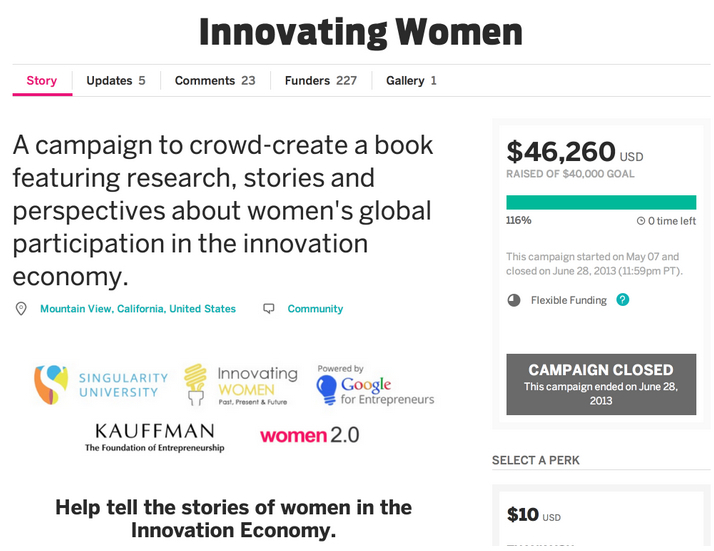 The proceeds for the book go to a fund for women at Singularity University, an unaccredited, for-profit organization that Wadhwa is involved in. Meanwhile, many women, people of color, and others struggle to raise a tiny fraction of that money to tell their own stories, support their own projects, and create spaces that are focused on supporting others like them. A prime example of this phenomena is the male allies plenary panel at Grace Hopper Celebration, the world’s largest gathering of women technologists run by the Anita Borg Institute. A conference with 8,000 attendees, 94% of them women, were asked to attend a plenary panel (the only event in that time slot with the expectation all will attend) filled with high-level white male executives talking about their role as male allies. One of these executives was the relatively new CEO of GoDaddy, a company known for years of sexist advertising, clearly aiming for a nice redemption story. Unsurprisingly, the Anita Borg Institute receive a lot of pushback prior to the event. Why was an audience of 7,500 women technologists being asked to listen to men talk about being allies? Why is the CEO of a tech company reviled by many of those women on the panel? At a conference for women in tech, wouldn’t it be better to give women the stage for a plenary session? Are male allies so desperate for recognition that they need the biggest women in tech conference and 7,500 women to collectively give them a cookie? 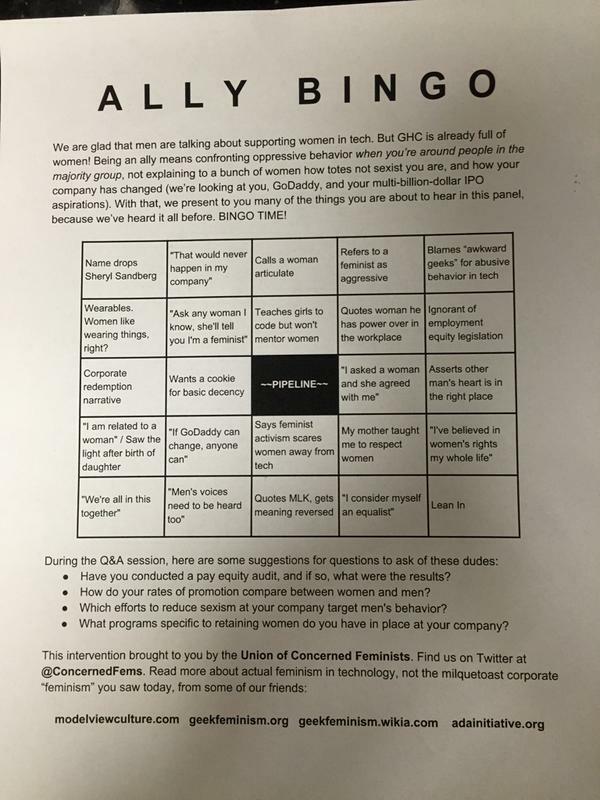 Photo of Ally Bingo cards handed out by the Union of Concerned Feminists during the panel. There was no Q&A after the panel. Some of the panelists met the next day for a reverse panel where they listened to women, but the larger damage was already done. Unfortunately, I cannot provide you with a link to the video to evaluate for yourself. Unlike other livestreams from GHC, the Male Allies panel is no longer available to view. A copy of the stream posted to YouTube was removed via a copyright request from the Anita Borg Institute. A transcript is available here, via Julie Pagano. 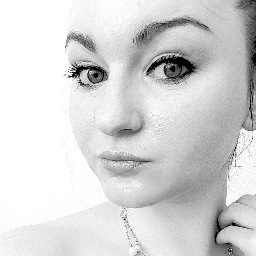 In August of this year, Mikki Kendall launched the #solidarityisforwhitewomen hashtag, highlighting exclusion, abuse and racism in the feminist movement. Unfortunately, we’ve seen similar themes across the diversity and feminism in tech movements. Many of the examples I cite throughout this piece are about women despite the many other underrepresented groups in the tech industry. Much of the “diversity” being commoditized is nearly as homogenous as the industry itself. So many of these efforts focus on women, and while it is not explicitly stated, mostly middle-to-upper class, straight, white, cis, able-bodied women. It’s easy to focus on that group. They’re the low hanging fruit. They have access to technology. They go to the “good” universities. They’ve been primed by Lean In, and they’ll work twice as hard for less pay. Companies can blame motherhood when they leave, and then start all over again by pushing more of them into the pipeline. These women suffer from being commoditized, but many also profit off it. The poster child for this is Sheryl Sandberg, the author of Lean In. She has created an entire empire around her self-help book that purports to provide advice for all women, but is mostly applicable to well-off, heterosexual, white women who aspire to motherhood and leadership roles. It is unpleasant to be tokenized and profited off of, but at least it opens some doors. You may be a minority, but there are likely enough of you to form groups in your workplace or community. There are dozens of organizations targeting your needs and advocating for you. If you want to start your own women in tech group, you won’t have trouble finding support and press. Many other people are not so lucky. Black and Hispanic programmers find it difficult to find jobs and are often paid less if they do find them. Often, there is nobody else like them in their workplaces, maybe even not in their professional communities. There are very few organizations to support them. Some people will have their identities erased entirely by being thrown into an “other” category, or by efforts which completely ignore the intersections of race, gender, sexuality and other sites of oppression. When people from these groups ask for more attention or criticize the homogenous nature of many “diversity in tech” initiatives, they will often be dismissed as difficult or divisive. When diversity is seen as something to profit off of, the people and organizations who see it that way benefit the most. The “easy” underrepresented groups get a mix of help and exploitation. Meanwhile, the most marginalized people, who would benefit the most from support, tend to be left out in the cold to fend for themselves.